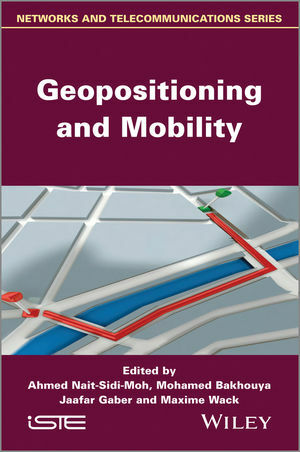 This book presents a general overview of the applications and use of geopositioning and GNSS for assisting the supervision and management of mobile terrestrial professions, information, traffic regulation, multimodal information, pedestrian mobility and indoor geopositioning, etc. It especially focuses on the field of mobility and terrestrial transport, the automotive industry and tourism (on foot, by bicycle or motorcycle, by car, by professional vehicles or by public transport, etc.). This book explores the many possibilities, developmental and organizational factors, as well as new paradigms, which will contribute to an essential part of GNSS’s civil economy, especially to Galileo in the mid-term and to Egnos in the short-term. Several of GNSS’s integration structuring aspects in sustainable terrestrial mobilities will be analyzed; for example in terms of system architecture, data safety or legal constraints. Numerous diverse points of view will be presented regarding subjects such as dynamic cartography and new computing architectures of: mobility systems, interconnection, service quality, regulation or supervision functions of individual freedoms. 1. The Geopositioning Concept, Yves Alexandre. 2. Functions and Performance of the Egnos System, Jérôme Legenne and Daniel Brocard. 3. Information, Modeling and Traffic Reconstruction, Arnaud De La Fortelle, Jean-Marc Lasgouttes and Fabien Moutarde. 4. Geopositioning and Legal Issues, Thierry Piette-Coudol. 5. Location-based Services: Platforms and Applications, Wafaa Ait-Cheik-Bihi, Ahmed Nait-Sidi-Moh, Mohamed Bakhouya, Jaafer Gaber and Maxime Wack. 7. Pedestrian Navigation for the Benefit of Mobility, Pierre-Yves Gillieron, Véronique Chazal, Michael Flamm, Dominique Von Der Mühll and Monique Ruzicka-Rossier. 8. The Application of Satellite Positioning Systems in Travel Analysis,Patrick Gendre, Alexis Bacelar and Philippe Marchal. Ahmed Nait-Sidi-Moh is Associate Professor of Industrial Engineering and Computer Engineering at the University of Picardie Jules Verne, St Quentin, France. His research interests include modeling, analysis of discrete event systems, performance evaluation and optimization, routing policies, scheduling and interoperability for service composition. Mohamed Bakhouya is a senior research scientist at Aalto University, Finland. His research interests include various aspects on the design, validation, implementation, performance evaluation and analysis of distributed systems, architectures, protocols and services. Jaafar Gaber is Associate Professor of Computational Sciences and Computer Engineering at the University of Technology of Belfort-Montbéliard, France. His research interests include ubiquitous and pervasive computing, distributed systems, geopositioning and mobility, security and experimental performance evaluations. Maxime Wack is Associate Professor of Computational Sciences and Computer Engineering at the University of Technology of Belfort-Montbéliard, France. He heads the Geopositioning, Embedded Systems and Mobility (GSEM) team. His research interests include intelligent transportation systems, security, digital signature and certification, location-based services and distributed systems. Ahmed, Nait-Sidi-Moh is currently an Associate Professor of Industrial Engineering and Computer Engineering at the University of Picardie Jules Verne (UPJV), Anmiens, France. Mohamed, Bakhouya is a senior research scientist at Aalto University, Finland. Jaafar, Gaber is currently an Associate Professor of Computational Sciences and Computer Engineering at the University of Technology of Belfort-Montbéliard UTBM, France. Maxime, Wack is currently an Associate Professor of Computational Sciences and Computer Engineering at the UTBM, Belfort-Montbéliard, France.